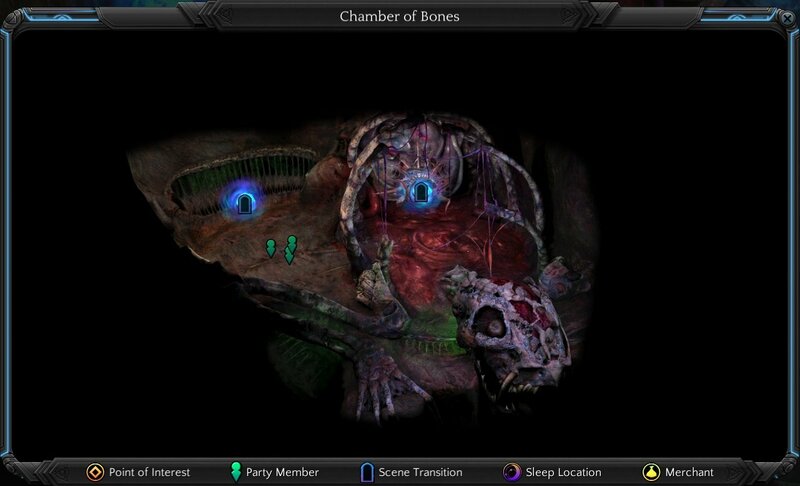 Chamber of Bones is a location in Torment: Tides of Numenera. Some small Maws will attack you when approach, be prepared. Interact with the giant brain using tidal surge grants you some XP. There is also a Maw you can interact to open, it leads to Forgotten Niche.